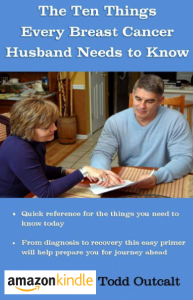 View Cart “The Ten Things Every Breast Cancer Husband Needs to Know ePub” has been added to your cart. 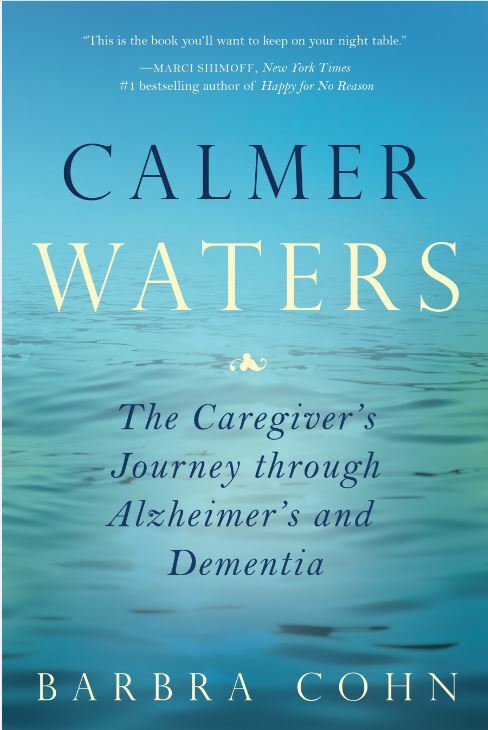 With pathos, humor and compassion, Calmer Waters includes the author’s compelling life story, inspirational essays and rituals from spiritual leaders, stories from family caregivers and twenty healing modalities from renowned experts that can be practically incorporated into a daily regimen. An added bonus is that both care partners – the caregiver and memory-impaired individual – can use most of the healing modalities, allowing for a stronger connection between the two. After spending a decade caring for her husband who died from younger-onset Alzheimer’s disease, Barbra Cohn offers a spiritual and holistic guide to help caregivers feel happier and healthier, have more energy and time for themselves, sleep better, feel more relaxed and confident, and experience inner peace, despite the obstacles they face. Winner of the 2018 Book Excellence Award in the category of self-help. Calmer Waters by Barbra Cohn offers a spiritual and holistic guide to help caregivers feel happier and healthier, have more energy and time for themselves, sleep better, feel more relaxed and confident, and experience inner peace, despite the obstacles they face. Riveting personal accounts of the journeys that caregivers embarked on with their loved ones illustrate the challenging medical, financial, emotional and social roadblocks that accompany coping with Alzheimer’s and Dementia. 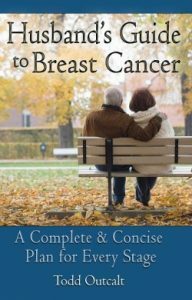 A rare blend of storytelling and practical with spiritual advice, this book offers an uplifting account of the strength of the human spirit, and a testament to the love and dedication of the 15 million Americans caring for a memory-impaired relative or friend. Barbra Cohn has been a professional writer for 35 years, and has written hundreds of health and travel articles for national, regional and local publications. For a decade, she cared for her husband, Morris, who passed away from younger-onset Alzheimer s disease at age 69. As president and owner of Cohn Writing Solutions, Barbra writes sales copy, newsletters and articles, and analyzes scientific studies for cosmetics and nutritional supplement companies. Her writing has appeared in AAA’s Encompass, First for Women, Nexus, Midwest Today, Shofar, YM, Sh ma, Boulder Magazine, Delicious!, Seasons, Better Nutrition, Energy Times, Inside Karate, Conscious Choice, Girls Life and numerous other magazines and newspapers. In addition to holding a Master’s degree in professional writing, Barbra holds a BA in both English and Religious Studies and a Certificate in Nutrition from the Bauman College of Nutrition. As a nutrition educator, she offers nutritional support to caregivers, guiding them to make healthy food and lifestyle choices.